We can’t do it alone. 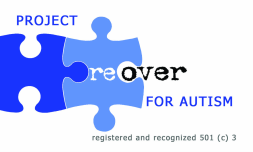 The families and volunteers at PROJECT REOVER need your financial help to provide children the support and information about the highest quality treatment and advocacy for autism. You will be brought back to our website when you complete or cancel the transaction. Be a sponsor for our fundraising events or developmental workshops. Make a regular or one time donation through a collection box at your place of work. Ask your company to match your donations. Make a smaller, regular donation using bill pay from a checking account. Smaller, regular donations add up to a large donation by the end of the year! Whenever making a donation to PROJECT REOVER, please include your name and address so that PROJECT REOVER can send you a receipt. If you would like your donation to remain anonymous, please just let us know! However, the IRS requires non-profit corporations to report donations in amounts of $5000.00 or greater. All donations made to PROJECT REOVER are tax deductible.